Prayer is an important part of my life. An important part of pretty much all of my activities. But this quote – it’s a good reminder to me that God wants to bless me. He wants me to have success in my research efforts. He wants me to feel the love and strength that comes from knowing my ancestors. I believe He helps me. I believe He helps me even more when I humbly ask for His help through prayer. 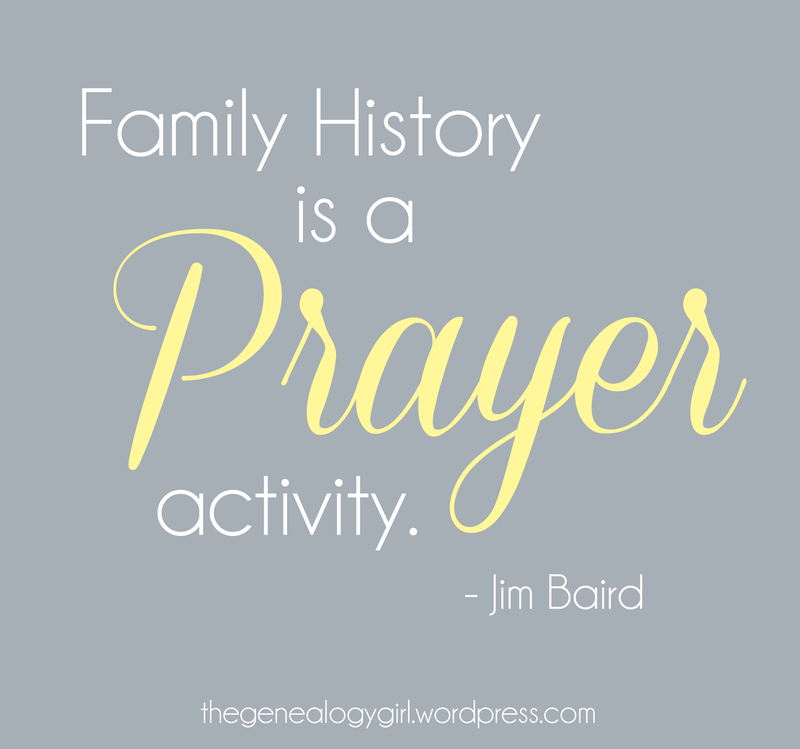 Jim Baird & I work at the same FamilySearch center. He says this all of the time. Great thought. Thx for sharing.